Boston. Boston: Little, Brown. Near Fine in Very Good+ dust jacket. 1949. 1st Printing. Hardcover. Mild dents to extremities of backstrip, no other defects, binding is tight, pages are clean and unmarked. Dust jacket is price-clipped, just the slightest edgewear, now protected by clear mylar sleeve. . Tom Lea was both an artist and a writer, a son of El Paso, in the great state of Texas. 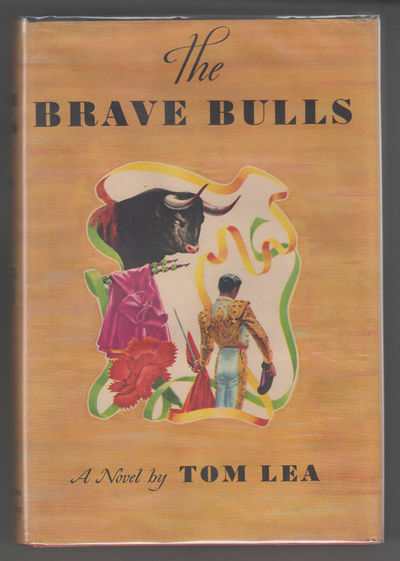 He both wrote and wonderfully illustrated this bull-fighting classic novel, which some have said rivals Hemingway's Death in the Afternoon. Beautifully SIGNED BY AUTHOR in black ink, on verso of half title page. Stated first edition, a lovely copy. . 8vo 8" - 9" tall. 270 pages. Signed by Author. A5 .